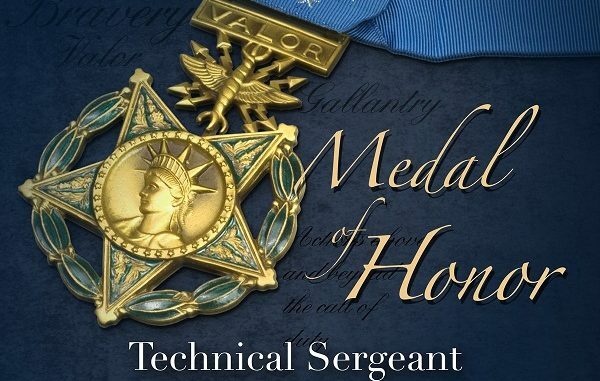 President Trump will award the Medal of Honor to Technical Sergeant John Chapman posthumously during a White House ceremony. The event takes place on Wednesday, August 22, 2018. The award is for conspicuous gallantry during a battle with al Qaida fighters on a 10,000 foot mountain top in eastern Afghanistan in the winter of 2002. John Chapman was a US Air Force Special Tactics Combat Controller assigned to the 24th Special Tactics Squadron at Pope Air Force Base, North Carolina. While deployed to Afghanistan he was attached to an element of SEAL Team 6 – a seven-man team with the call sign of Mako 30. The battle took place on Roberts Ridge  on Takur Ghar mountain along the Pakistan border. The award is an upgrade of the Air Force Cross that he received posthumously. The action that took place on Takur Ghar was part of a larger operation called Operation Anaconda. 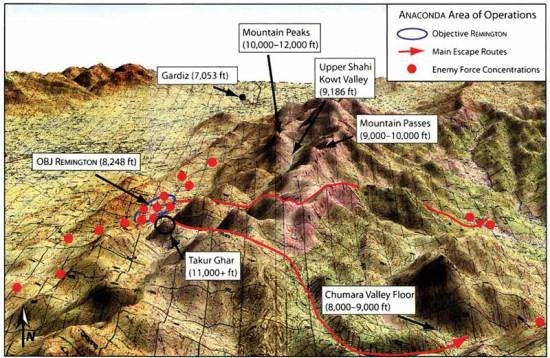 The objective of Anaconda was the destruction of Taliban and al Qaeda fighters that had taken refuge in the Shah-i-Kot Valley (located at 7,500 feet) of Paktia province in eastern Afghanistan. Two SEAL teams were inserted to set up observation posts in order to identify enemy positions and call in airstrikes. Mako 30’s planned observation site provided an ideal spot for an observation post with excellent visibility of key locations. During the MH-47E helicopter (belonging to the 160th SOAR) insertion John Chapman’s aircraft came under heavy fire (bullets and rocket propelled grenade) and was damaged. A teammate – Petty Officer 1st Class Neil Roberts (Navy SEAL) – was ejected from the aircraft and the crippled aircraft executed a controlled crash landing in the valley below. Chapman and other members of the joint special operations team voluntarily returned on a second MH-47 to the snow-capped mountain to rescue the stranded teammate. This aircraft was immediately engaged with heavy fire. The team on the ground was quickly in a firefight with enemy forces. John Chapman lost his life during this effort. After being severely wounded Chapman’s body had been left behind due to enemy pressure. 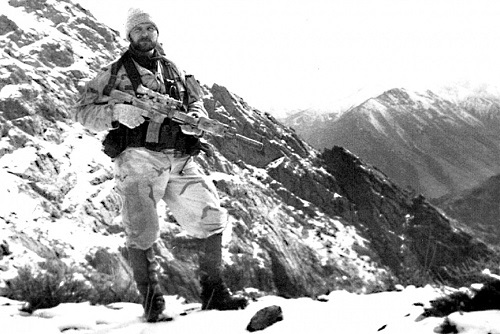 It was believed by the SEAL team leader  that Chapman had been killed. An analysis of drone coverage later revealed that he regained consciousness and resumed fighting al-Qaida fighters approaching his position. A native of Windsor Locks, Connecticut, he was 36 years old at the time of his death. He was married and had two children. Chapman joined the Air Force in 1985. He first served as an information systems operator but then volunteered to be a Special Tactics combat controller in 1989. A Combat Controller must pass some rigorous training schools to be fully qualified. The training includes military diving, static-line and free fall parachuting, air traffic control, and combat control courses and schools. Once his two-year training program was completed he was assigned to the 1721st Combat Control Squadron, the 320th Special Tactics Squadron, and then to his final unit – the 24th Special Tactics Squadron. The Air Force, because of the award of the Medal of Honor, will posthumously promote Chapman to Master Sergeant on September 1, 2018. Chapman’s widow and family will attend the ceremony at the White House. Chapman will be the 19th Airman awarded the Medal of Honor. He is the first Airman to be recognized with the medal since the Vietnam War. The Medal of Honor is the nation’s most prestigious military decoration. Read about “The Battle of Roberts Ridge”, by Dwight Jon Zimmerman, Defense Media Network, September 9, 2012. Retired Navy SEAL Britt Slabinski received the Medal of Honor in May 2018 for his actions in the same battle. Airman to be awarded Medal of Honor, U.S. Air Force Public Affairs, July 27, 2018. President Donald J. Trump to Award Medal of Honor, White House Statement, July 27, 2018. Trump awards Medal of Honor to NAVY SEAL for controversial mission in Afghanistan, Fox News, May 24th. The Navy SEALs Allegedly Left Behind a Man in Afghanistan. Did They Also Try to Block His Medal of Honor?, by Sean Naylor, Newsweek Magazine, May 7, 2018. Pope airman is first to receive Medal of Honor since Vietnam, The Fayetteville Observer, July 27, 2018. Airman posthumously receives Medal of Honor, Secretary of the Air Force Public Affairs, July 27, 2018. Photo: Top image by DoD, map by U.S. Army, photo of Chapman courtesy Secretary of Air Force (DVIDS, Jul 27).